I’ve built a lot of knockdown workbenches in the last 15 years, but I’ve never been 100-percent happy with my knockdown mechanisms. 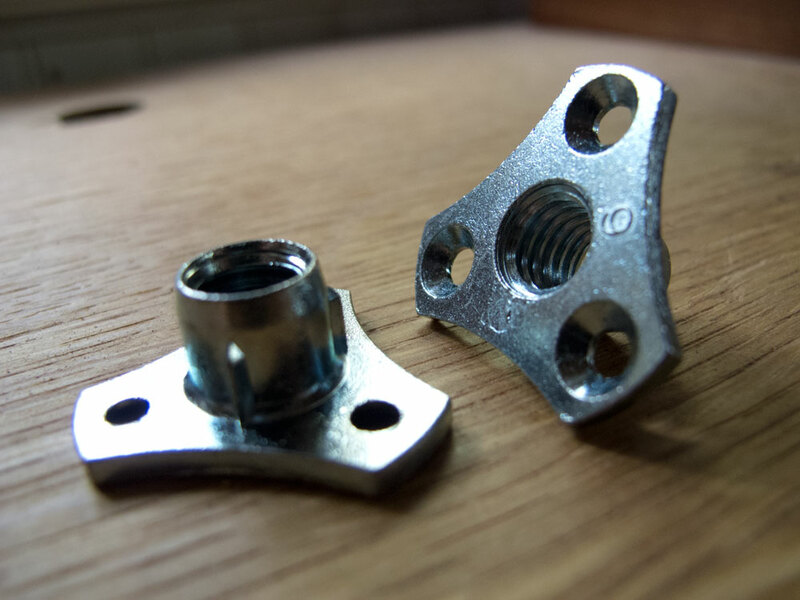 The problem: barrel nuts, bedbolts or whatever you want to call the cross-locking nut. When installed, these things work OK. But installing them so they work smoothly is a lesson in precision down to the gnat’s angstrom. 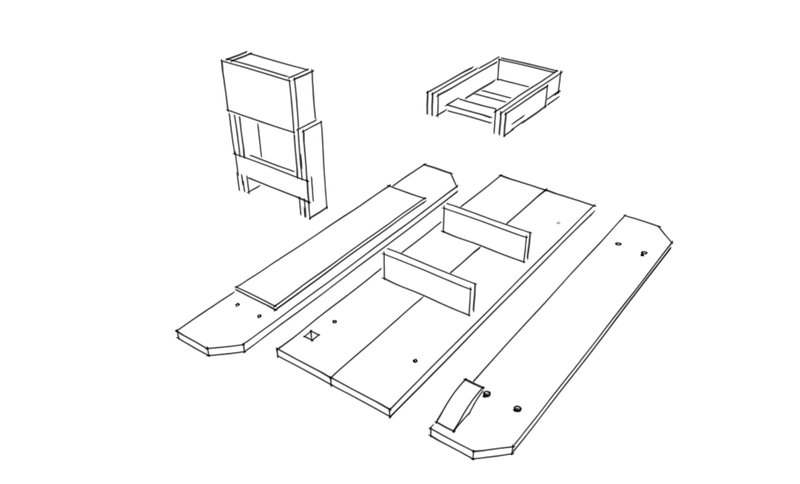 This summer I’ve been noodling a bench design that is inspired by three things. Mike Siemsen’s Nicholson workbench that he built for “The Naked Woodworker” DVD (coming very soon!) and has been taking to woodworking shows. 2. 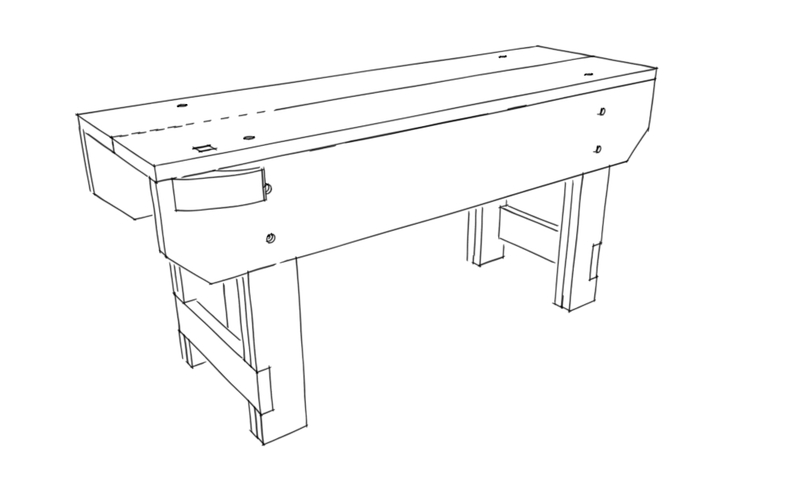 Planemaker Caleb James’s knockdown version of Mike’s bench, which used hardware found in woodworking jigs. I saw this bench at a Lie-Nielsen Hand Tool Event in Charleston, S.C. This entry was posted in Uncategorized on September 12, 2014 by bkbiggs.